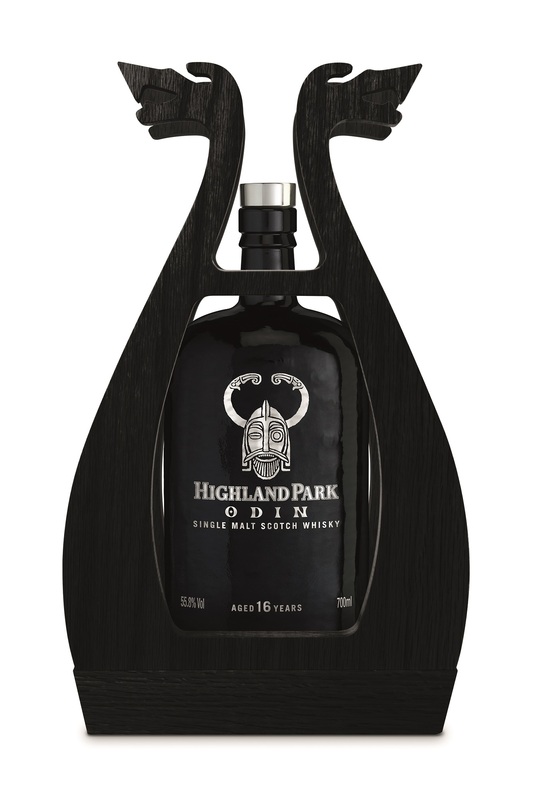 Direct from the gates of Valhalla, Highland Park has unveiled the last in the series of stunning whiskies that celebrates its Norse heritage. ODIN, named for the King of Asgard himself, joins Thor, Loki and the beautiful Freya to complete Highland Park’s Valhalla Collection. Legend has it that Odin, All-father of the gods and ruler of Asgard, is an intensely complex character. Known as ‘the furious one’, Odin is the strongest of all the Norse gods and driven by an unquenchable thirst for wisdom. By sacrificing an eye for a drink from the Well of Wisdom, he earned immeasurable knowledge and insight. With only one eye which blazes like the sun, Odin cuts an ominous figure. Creating a single malt to reflect the dominant characteristics of Odin was no easy feat but the Highland Park whisky makers have excelled. This whisky strikes a balance between the god and the distillery’s signature Orcadian style – Highland Park’s sweet and gentle smoky peat aromas. The result is an undeniably powerful 16 year old single malt. With only 17,000 bottles released globally, this limited edition whisky comes housed in the same distinctive award winning wooden frame of Thor, Loki and Freya echoing the fearsome contours of a traditional Viking long ship. The bottle itself reflects Odin’s character – dark and imperfect and slightly battle worn. Nose: This intense whisky possesses a fierce spice. Cinnamon bark and nutmeg rise from Odin’s spirit. Behind the spice, toasted walnuts smoulder with pulsating explosions of smoke. Odin cuts an ominous figure and this whisky is no different. Palate: A huge, powerful palate draws on the complexity of Odin’s character. Layers of peat uncover thousands of years of wisdom. Dense oak combines with rich charred walnuts. Finish: Throughout is a subtle sweetness, sharing the knowledge of well-seasoned sherry wines. Plums and soft fruit disappear into the dark as the peaty embers glow into a smoky finale. 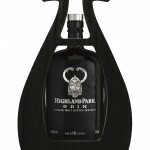 Odin will be available from specialist independent whisky retailers, at the Highland Park distillery and www.highlandpark.co.uk at an RRP of £180.